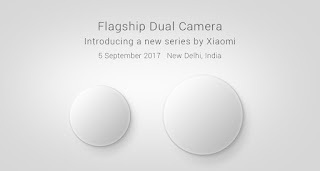 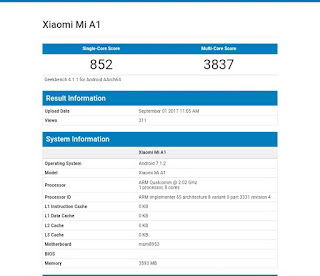 Xiaomi is all set to launch new series of a smartphone in India on September 5 with Dual Flagship camera.Now Xiaomi A1 has been spotted on Geekbench which is rumored to Android One Smartphone. Xiaomi Mi A1 is powered by a 2GHz Octa-Core Snapdragon 625 14nm processor with 650MHz Adreno 506 GPU. 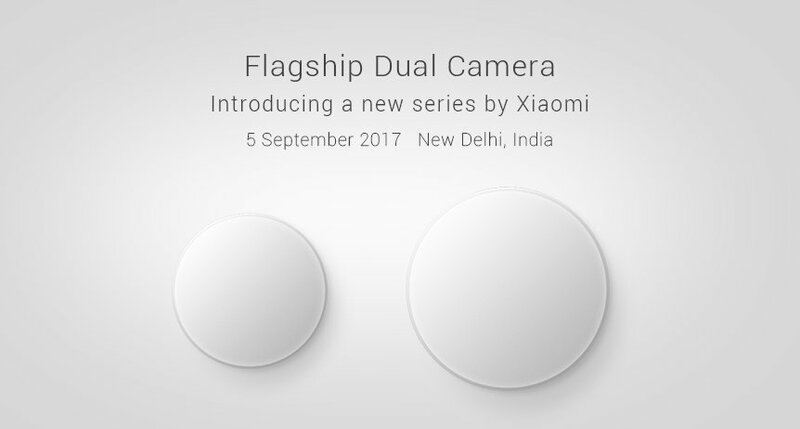 It has a 4GB RAM, 32GB/64GB storage, It runs on Android 7.1.2 will feature Dual Rear camera. 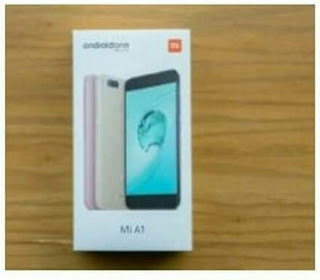 According to leaked retail box it confirmed phone name it will be Android One Smartphone.